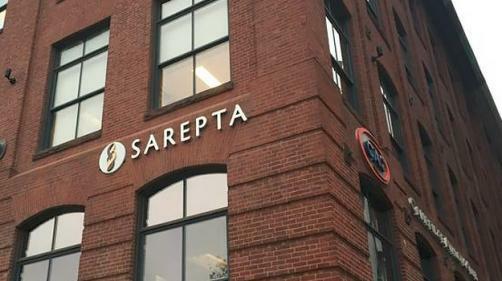 Sarepta Therapeutics has been rocked by a hurdle in its pursuit of regulatory approval in Europe, as the company revealed that its therapy Exondys 51 (eteplirsen) has been slapped with a negative opinion by the European Medicines Agency (EMA)’s Committee for Medicinal Products for Human Use (CHMP), presenting a big obstacle on the road to approval in the region. The drug was marked with the negative ruling for the treatment of Duchenne muscular dystrophy (DMD); Sarepta has requested that the panel review the decision. The company said that its increased net income in the second quarter was down to increased demand for the therapy. While the EMA is not beholden to the decisions of the CHMP, the agency follows the advice in the vast majority of cases, and it is usually seen as a good indicator of future regulatory rulings. “While largely anticipated, we are disappointed with the outcome of the CHMP re-examination and firmly believe that eteplirsen should be made available to patients in Europe, as it is in the United States,” remarked Sarepta President and CEO Doug Ingram. “We were, however, encouraged by the openness of discussion with the SAG and CHMP and their willingness to engage on different approaches to provide additional data to support an eventual approval in Europe,” he continued. “Based on those discussions, Sarepta will work to explore a potential path forward that balances the needs of patients and their families to avoid lengthy and unnecessarily burdensome trials with those of European Regulators for additional supportive data consistent with existing European regulations. We will be seeking follow up Scientific Advice in 2019 in order to explore the approach to bring eteplirsen to Europe."